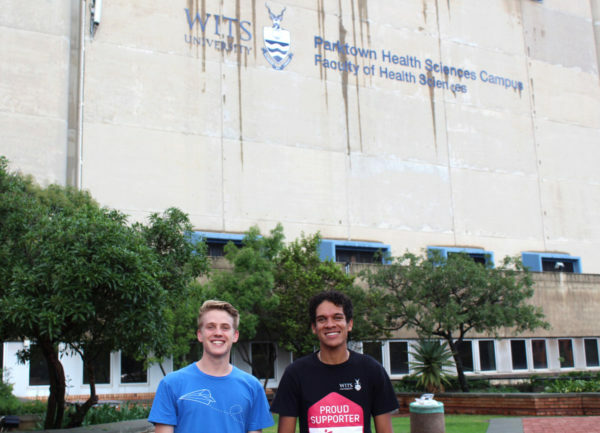 Two Wits third-year medical students, Caleb Vergie and Matthew Kettles, are raising money for Doctors Without Borders (MSF) by running the Two Oceans half marathon on Sunday, March 31. Kettles told Wits Vuvuzela that he truly wanted to do the Two Oceans and that it was great that he could raise funds through the marathon. By running he hopes to raise about R2 000 through donations which will go towards Doctors Without Borders. Two weeks ago, both students started raising money through Given Gain, a website that allows funds to be raised, with a target to raise R2 000 each for the cause. By donating the money raised to the MSF, they are hoping to help patients who are unable to get the medical attention that they require. Communications Officer at MSF, Angela Makamure, said that the university-based society does a lot of fundraising to help MSF and bring awareness to what the main organization does. The Wits branch hosts quiz evenings, information sessions and health days where they raise funds. It will be the first time running the marathon for both Kettles and Vergie.